We’ve been making incredible denim for a very long time. And as you might’ve noticed, our jeans just keep getting better (OK, so do our leather jackets, go-anywhere boots, and fuss-free dresses…). One of the people who’s making all this happen? Somsack Sikhounmuong, our new head of design. We picked his (very stylish) brain on what inspires him and got a sneak peek at his spring 2014 debut collection. New York by way of Toronto and before that, Thailand. What’s your earliest design-related memory? I’ve loved drawing and art ever since I can remember. I used to get upset at my kindergarten classmates for not coloring inside the lines—and for drawing people without necks. I still like things to be simple and straightforward. How did that interest become a career in fashion? I loved design. The idea of creative “art” on a practical level always interested me. I collected (or as I liked to say, “rescued”) old issues of Vogue from doctors’ offices and recycling piles from a very young age. My apartment to this day is a safe haven for old fashion magazines. 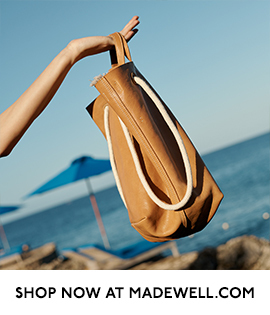 So what drew you to Madewell? I love old movies, magazines, music, things that feel lived-in and familiar—and that feels very Madewell. Your first collection hits stores this spring—what kind of changes will we see? The clothes will be effortless, cool, creative and unfussy—the same words I’d use to describe the Madewell girl. Tell us a little bit about who that woman is. Whether she’s 16 or 61, she prefers authenticity over trends. She wants clothing and accessories that add to her already well-rounded wardrobe, not trendy clothes that make her easy to label. 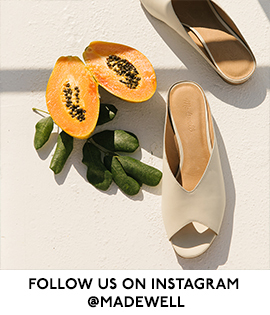 What will we be coming to Madewell for? What you won’t see in the stores is just as important as what you will. It’s all about the edit. There’ll be amazing jeans, leather jackets and easy dresses. Details are very important, so the finish of a button or the under-collar of a jacket are just as important as the overall design. How do you set the tone for a new season of clothes? I ask myself, “What feels new, what looks good and is it Madewell?” Pictures, thoughts and visions get thrown together to produce an overall mood. And I could spend days people watching. I love everyday cool girls on the street, which New York has no shortage of. Neil Young, Fleetwood Mac and LCD Soundsystem. I love actually going to a movie theater and getting popcorn. No Netflix for me. 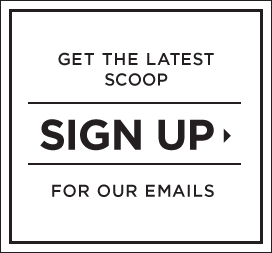 This entry was posted in Uncategorized and tagged fashion, madewell, Somsack Sikhounmuong, style. Bookmark the permalink.